Anthony Mundine 48-8 (28) has raised concerns about Jeff Horn’s allegedly reckless use of his head in close ahead of their huge domestic match-up this Friday night at Suncorp Stadium in Brisbane. The former WBO welterweight champion first came under the spotlight for his rough-house tactics in his title-winning effort against global superstar Manny Pacquiao in Brisbane in July last year. In that fight southpaw Pacquiao had cuts on his scalp leak claret for much of the contest after accidental head-clashes against the orthodox Horn 18-1-1 (12). The former Brisbane schoolteacher’s saw the same allegations levelled against him by conqueror Terence ‘Bud’ Crawford ahead of their clash in Las Vegas, Nevada last June. 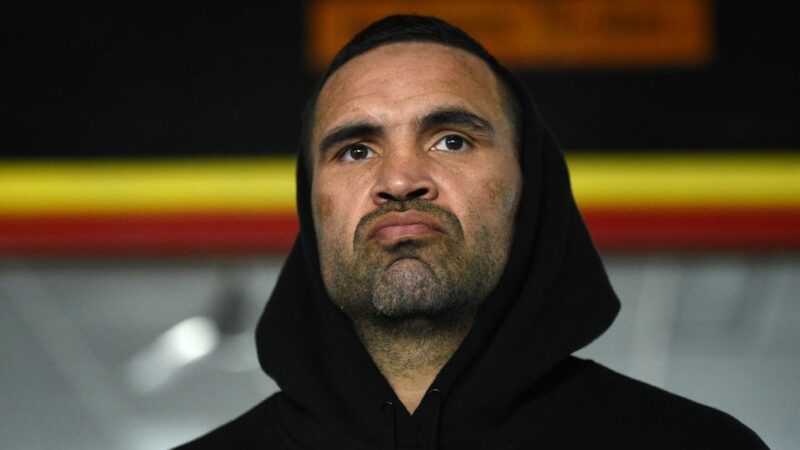 Mundine is continuing the theme and says he will be discussing the perceived infractions with referee Phil Austin who will be the third man in the ring for Friday night’s main event. “That’s the only thing that I’m worried about,” said Mundine. “When he starts to get banged up and he starts to get blood here and there, he’s going to get frustrated and not know what to do so he’s going to start leading with his head and all these types of things. Despite boxing professionally for 18 years following a successful rugby league career that saw him represent New South Wales in State of Origin, the 43-year-old Sydney veteran insists he is far from washed-up. “This young cat is going to get pumped,” Mundine said in an interview with Fox Sports. “I take my hat off to him, but there’s levels to this and he’s not on my level. “When I’m on, mentally and physically, I’m a different animal. I’m too much. He’s very effective at what he does but he’s awkward. But once I adapt to his style, this boy’s in trouble. Meanwhile Horn’s coach Glenn Rushton has admitted Mundine might be a tougher out than originally thought. Sam Crossed ready for Twon Smith This Saturday night in Washington, D.C.